Can you really afford to NOT have a professionally designed & dynamic website with company branding that sets you apart from the rest? The yellow pages are a thing of the past. Your credibility as a business is tied your website. Tell your story, connect with your ideal customers and leverage your #1 marketing tool without the frustration of technology, countless wasted hours and marketing mishaps getting in your way. Want to know more? Let’s chat for a few minutes. I know that you have a lot of options to craft your brand and your website. Dozens of other brand strategists, web designers & DIY options are out there pulling at you. But we are not all created equal. When we work together, you get my complete, focused attention. I am not a large marketing firm with dozens of clients pulling me in every direction, taking time away from your project. 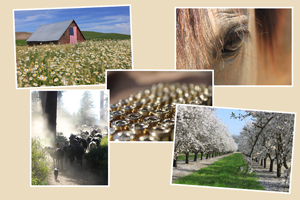 I am uniquely qualified to help you with your agricultural, equestrian or rural business, because I’ve lived in that world for the majority of my life, so I get it. I understand the struggles that you face and I can help you through them. I do not outsource to cheap labor overseas just to save a buck. While I do utilize interns on some projects, they are hand-picked, aspiring website designers themselves and they give as much attention to detail as I do. My specialty is providing you with a fully customized, unique solution, just for you and your audience. I do offer a couple of lower cost, starter website packages however, that are great for those just getting their feet wet. If you’re considering a DIY option, consider this — how much income can you afford to lose because your website is lacking key elements to ensure success that you are simply not aware of? Lastly, I am committed to your success, and the success of your online business. 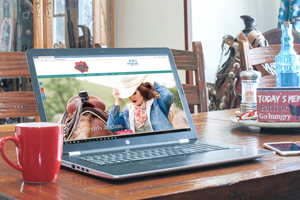 During our weekly phone meetings, you’ll receive plenty of website, social media, branding and marketing tips that you can use in your business right away, so you can begin to see results from your efforts. I know it sounds like a clichè, but your success really is my success, too. 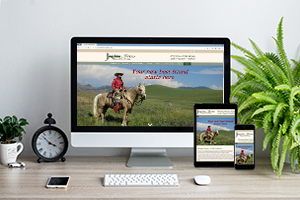 I own an Equine Supplement business and I have created and maintained my websites for the past 25 years or so. I had spoken with Theresa at the beginning of 2017 about her building a new website for me but the timing wasn’t right. With the changes to Google and Chrome regarding secure sites I discovered that the company that I had hosted my sites on for all these years was truly geared more toward personal use and not for businesses. I called Theresa and told her “I’m ready, let’s do it!” I am kicking myself now for not having gone ahead with Theresa building my site 9 months ago. I couldn’t be happier with my new site and with Theresa. 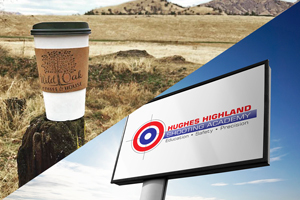 Theresa takes the time to really find out what your company is about and what your goals are for the site. Her knowledge and intuition as to what customers are looking for and how to really personalize a site amazed me! Theresa’s quality to detail is outstanding and she addressed each and every one of my wishes for extras for the site not just “now”, but “right now!” I had high expectations, but Theresa exceeded my expectations with the finished product. I look forward to recommending Theresa to everyone I know that is in need of a professionally done website. Thank you Theresa!!! 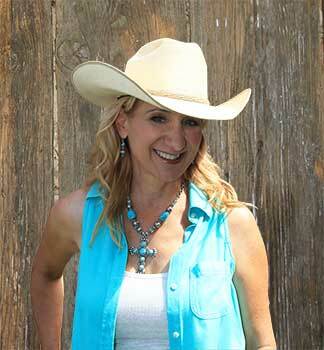 Theresa has been my website designer/tech advisor for over 5 years. She’s always available to answer my questions and fix whatever bugs i have. Super friendly and very approachable. She’s been amazing! Her skills as a computer expert and website designer are phenomenal. Theresa Sheridan Stockard is AMAZING!! Having worked with her for several years now, I’m always impressed at how knowledgeable and up to date she is on everything regarding our webpage and online store. She is very creative and everything she does in done in a timely manner, no matter the size of the job. 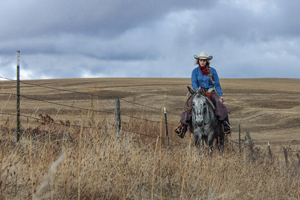 All I can say is if you’re not using Cowgirl Media [Theresa Sheridan Designs] you’re missing out!! 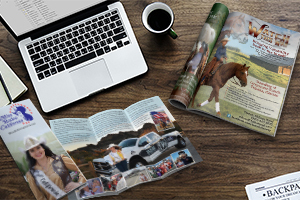 Cowgirl Media [Theresa Sheridan Designs] does amazing work! Theresa made my dreams of a logo come true and I couldn’t be happier with how the logo turned out! From the first time I contacted her to the finished product was less than 10 days and she was so nice to work with. I have received so many comments on how awesome my logo looks. I highly recommend her services! Theresa is very knowledgeable about marketing and audiences and what will/won’t resonate with them. I thought I had ideas about what I wanted until I saw Theresa’s ideas, and they were WAY better than mine. She is easy to work with, not intimidating, volunteers suggestions, and produces a quality product. I love my logo and my website! Our brochures are beautiful! You make us look like a class act. I hope to be using you again soon for more projects. Let’s chat about how I can help you – it’s free!